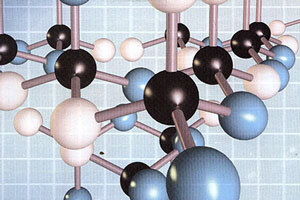 In June 2005 The Journal of Nanobio technology, published a ten page study of a study was the result of seven scientists’ exploration into the virus inhibiting qualities of nano silver. Treating AIDS with silver particles is not a new idea. In 1989, Cesar Garcia Ramirez, MD, practicing in Tijuana,decided to try silver for therapy on some of his dying AIDS patients. He obtained permission from the Baja California Division of Public Health, as well as agreement for the treatment protocol from a group of physicians serving as the Institutional Review Board (Human Studies Committee). Initially, three very ill patients were chosen. The effectiveness of silver as and the negative factors is base on size. Silver electrode create huge boulders in comparison to the size nano silver. The smaller the size of the silver particle the higher the dosage that can be given without risk. The amount needed for a nano silver treatment is less than the amount allowed in US for public water. The smaller the particle the greater the surface area that can come in contact with antigens and thereby effectiveness is increased with smaller amounts. The most effective singular, universal treatment for disease is a 30 day juice fast. A juice fast combined with nano silver treatment may cure incurable diseases. I would follow the product recommended dosage during the juice fast. So far these are the best source I have found. Compared to other clinical practices, the therapeutic use of colloidal silver is not extensively published. It is generally safe to say that colloidal silver poses minimal risk to humans because there is no reported case of silver toxicity. The most serious effect of this exposure could be argyria and argyrosis. The Agency for Toxic Substances and Disease Registry (ATSDR) describes argyria as a “cosmetic problem” where the exposed would exhibit grayish to blue pigmentation. There are approximately 300 reported cases of argyria but almost all are related to occupational hazards and only one case was linked to the intake of colloidal silver. Maximum silver blood levels would be seen in the production of nanocrystalline silver. If silver was toxic to the body, silver mining and silver production workers would have the highest risk due to the fact they are inhaling microparticles over an extended period of time. National Institute of Safety and Health (NIOSH) did not set a level to which nanocrystalline silver poses a health threat. The fact that there are no silver workers with a health problem directly linked as a result of silver exposure is already a proof that the comparably very minimal amount of silver in therapeutic doses is SAFE. Therapeutic dosages of colloidal silver are without health risk. 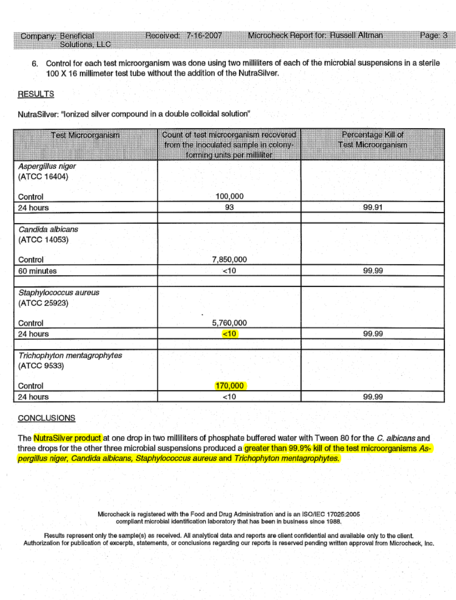 The results above show that 5 ppm is effective for every pathogen on the list. What needs to be determined is the PPM blood levels that need to be maintained to have a therapeutic impact. We know that silver nanoparticles are absorbed in the first few feet of the small intestine and their presence can be measured about 15 minutes after ingestion. The silver concentration of nanoparticles in the blood serum will continue to increase for about 3 to 4 hours after ingestion and then starts to taper off. Parts per million is the common measure for colloidal silver concentrations. The average colloidal silver machine can produce 5-40PPM. The American Biotech Labs for instance have their 32 ppm nano-silver product. Other companies have concentrations as high as 120 ppm. After days of research, we could not find any recommended dosages of colloidal silver. There is no research that could be found on blood levels and colloidal silver. If the half life is 15 days, then the silver is building in the body with each daily dose but where is it being stored? Where are the highest concentrations within the body? With a half-life so long, one dosage could establish remnant silver particles in the body for years. Colloidal silver may interfere with the body’s absorption of some drugs, such as penacillamine, quinolones, tetracyclines, and thyroxine. In 1940, R. A. Kehoe reported that under normal circumstances, the average daily intake of fruits and vegetables would provide between 50-100 mcg of silver as a trace element. Since that time, the commercial farm soils of this country have become extremely deficient in trace minerals. Although I do not have authoritative figures for silver, according to the Earth Summit Report, issued in 1992, the levels of soil based minerals in North America have dropped over 85% in the last 100 years. Assuming that our ancestor’s diet used to contain trace silver, and that our diet probably has greatly reduced levels, there is a reasonable argument for supplementing with colloidal silver. Two teaspoons of 5 ppm colloidal silver provides about 50 mcg of silver and could be considered a “nutritional” amount, if taken on a daily basis. Any amount above four teaspoons a day or 100 mcg should be considered a “therapeutic” amount. That said, it should not be assumed that electro-colloidal silver is equivalent to or has the same metabolic effect as receiving trace silver from dietary plant sources, but since there are very few plant sources of trace silver available today, colloidal silver is probably the best substitute. As far as we can see (fasting.ws research team), in how much colloidal silver to take for therapeutic dose, the lack health risk and the lack or any recommendations other than the one in the proceeding paragraph appears to indicate a situation whereby you can drink as much as you want, in whatever concentration, whenever you want and there is no such thing as too much. Very unscientific we know, so please contact fasting.ws for with any challenge to this statement. Constant current regulator – if your machine has a constant current, as the concentration of silver in the water increases, so does conductivity and larger silver particles are created that are useless to the body. A constant current regulator diminishes current as the conductivity of the water increases. Only DISTILLED water should be used. You cannot use purified or filtered water because it still has too many dissolved minerals in it. You cannot use deionized water because it doesn’t conduct electricity well enough to start the reaction. Distilled water is just perfect to start the reaction slowly and let it proceed properly. Another variable that influences particle size is the water temperature. The warmer the water, the faster the reaction will take place, and the smaller the particles will be. The very best voltage for the reaction is 30 volts, because the electrodes run the cleanest at this voltage. If you have a small power supply, set it for 30 volts. If you are running on batteries, it is best to start at 36 volts (three 12 volt batteries or four 9 volt batteries) and let the batteries drain down from there. Holding the silver electrodes at a uniform distance away from each other yields a better production. Colloidal silver kills nearly all micro-organisms, including the “friendly flora”. With a single high dosage, a die-off of friendly flora is possible. Better to take smaller amounts over time or using a high concentration of colloidal silver as a mouth wash which will allow absorption directly into the blood. This information is a collective data from the web. For claims without indicated sources, we did due diligence to find the original published material. Although there were thousands of anecdotal claims of colloidal silver curing health conditions, there is a vacuum of scientific evidence or research. What research we did find, none of the sites publishing research had direct references. In researching the therapeutic benefits of colloidal silver is became clear that Politics are involved. FDA does not want to be exposed as an enforcer for the drug companies, or be seen as an agency not acting in the public’s interest. FDA would certainly like to avoid a public perception that it is hiding cures for diseases. But one fact clarifies intent, the FDA has never spent US tax dollars discovering something cheap and effective for disease treatment, then published their findings for public benefit. Empowering US citizens to be self-reliant and effective in self-administered healthcare is not the FDA’s Modus operandi. In the absence of authoritative testing data, the public is left to experimention and groping for the answers in a world where the authority for health is controlled by the pharmaceutical giants. Therefore, readers are advised to use this information at their own discretion.